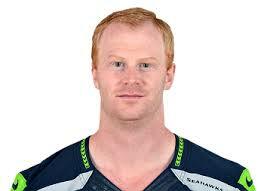 Jon Ryan is a professional football player, currently in the Seattle Seahawks organization. Being from Regina, Saskatchewan, his story of how he got to the National Football League and the success he has had is truly remarkable. Ryan attended school in Canada at the University of Regina from 2000-2003. After a successful four years there as a punter and wide receiver, he was drafted to the Canadian Football League by the Winnipeg Blue Bombers. After two seasons in Winnipeg, Ryan secured a spot with the NFL’s Green Bay Packers in 2006. That season Ryan’s father passed away from cancer and as a result, his teammates awarded him the winner of the Ed Block Courage Award, for being a role model of inspiration, sportsmanship, and courage. The Packers released the punter at the end of the 2008 season, but the Seattle Seahawks picked him up in 2009. He has remained the Seahawks punter ever since and won Super Bowl XLVIII after reaching back-to-back Super Bowl’s with the Seahawks during the 2013 and 2014 seasons. Ryan is well known in the social media world for his comedic Twitter posts and is coincidentally engaged to American stand-up comedian Sarah Colonna.